" Future begins here.. "
" Sharping your ideas.. "
" The Perfect Experience. " Android applications are fetching a wrath all around the world as a result of which companies are looking for android application developers so that they can control their business thoughts on the newest technology. We are into website designing and web development services. we specialize in custom application development and ecommerce solutions. Software can be developed for a variety of purposes, the three most common being to meet specific needs of a specific client/business, to meet a perceived need of some set of potential users. A career in Web Designing Training in surat is in great demand, around the world. Web design encompasses many different skills and disciplines in the production and maintenance of websites. The different areas of web design include web graphic design, interface design, user experience design and SEO. Looking around PHP Training company or PHP training institute in Surat who can provide training with live project along with job. We have providing PHP Training in Surat and also students from nearby areas have been taking PHP Training from Ankleshwar, Bharuch, Ankleshwar, Navsari, Billimora Vapi etc. We are here deliver what we promise. We are not an IT training institute instead we are a Developing company. NOVA One Click Solution uses different technologies like PHP with Framework, Android, AngularJS, .Net, OOPS , SEO etc. provide project training with complete technical guidance for students studying in BCA, MCA, B.Sc.IT. , M.Sc.IT, BE, B.Tech, Diploma in Computer Enginnering and other computer career oriented program. The demand for qualified Database professionals is strong and set to remain so. It figures – any time you book a flight or put something on a credit card there's a database system at work. And behind every database there's an administrator or developer ensuring its availability, integrity and security. A programming language is a formal computer language or constructed language designed to communicate instructions to a machine, particularly a computer. 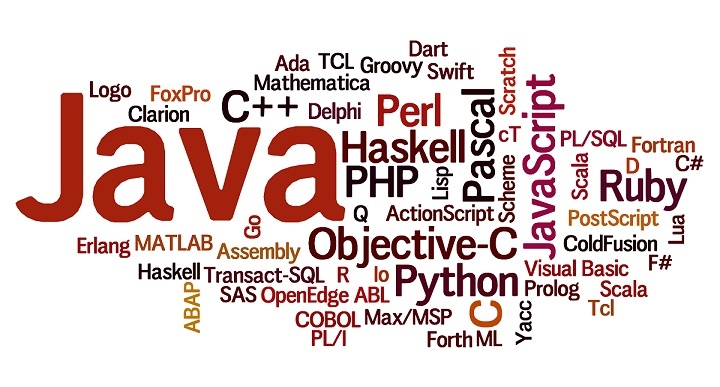 Programming languages can be used to create programs to control the behavior of a machine or to express algorithms.